Mr E: I wanted to talk about gratitude or thankfulness today because it is an important part of being elven, it’s part of our code of living. NL: Do the elves teach gratitude, do children learn this when they are young? Mr E: Oh yes, very, very young. NL: What is your first recollection about that? Mr E: Well, you know the old saying, “don’t look a gift horse in the mouth?” It’s kind of like that. You know, when you are given something, no matter how small or how large, you are to express gratitude and appreciation for what was given to you. No matter what it was, even if I gave you a just a penny, you would be expected to say, “oh wow, thank you, now I have an extra penny,” or something similar. Mr E: No, you never minimize anything. 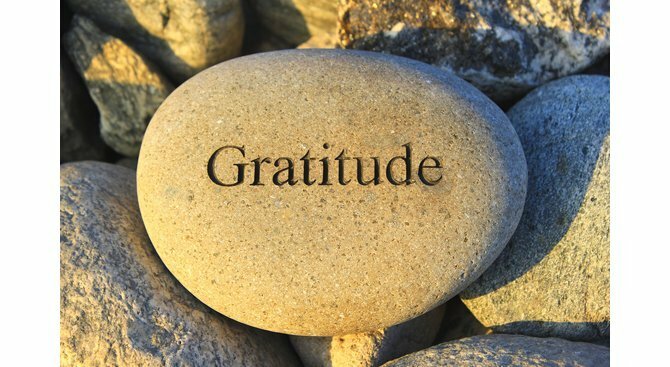 You always convey the maximum gratitude you can give because being grateful opens the door to abundance. We believe the more grateful we are, the more the Goddess will provide for us. If she sees this or that thing makes us happy, then she will gladly give us more. Unfortunately, on the human side, I think the real meaning behind Thanksgiving struggles to compete with football and the eating of the turkey. Hopefully it will prevail because this day was intended to be about remembering all the things one is thankful for, if only for that one moment of the year. Susan has said, after she came close to death, that she is, you know, thankful for breathing. So, it’s kind of like that, it’s the little things that matter as well as the obvious, big things. NL: And doing this makes your day better, deeper and richer. Mr E: Yes, it makes your life better to be appreciative and acknowledge those things on this day and everyday, really. For us, this holiday is very elven and goes way back in our world before your first American Thanksgiving ever happened. It is something we also do–we have a Thankful Day. It’s not on the same day but we celebrate pretty much along the same lines that humans do, (laughs) except for watching football. So no, we don’t watch football, but we actually might have a sport that we watch. We might have something going on involving a centaur competition or some other type of contests, things like that. NL: So who gathers together for this holiday? Is it a family gathering or is it a larger type of gathering? Mr E: It can be one or the other or both. It’s like a festival, it’s like Christmas. You know, Christmas is everywhere, not just at your house so it’s kind of like that. NL: So, it’ much bigger than say, a birthday. Mr E: Oh yes, a birthday is more of a private celebration. NL: Is your Thankful Day similar to your other celebrations? For instance, is there a bonfire involved in this one? Mr E: No, no fire for this one. NL: So, what’s this celebration like? Where does it take place? Mr E: There will be events in the town here. NL: So, it’s not a high holiday where a ritual/magic is involved. Mr E: No, there’s no fire or magical ritual involved. It’s a gathering where we share a meal together and it’s quite a bit like what you call a potluck where everyone brings food dishes to share. In Lakeside, people gather around 50 or so large tables which look pretty much like your picnic tables. Families enjoy talking with other families while the kids are running around and playing with things and having lots of fun. After the meal, there is music, beer, dancing, singing and all kinds of things for entertainment. At the end of the festivities, we like to have a special time where one representative of each family will come up and speak about what they are thankful for in the past year. Sometimes, even a very young one will raise their little hand up and say, in a wee voice, “I want to tell you what I am thankful for.” Then, someone picks the child up and he or she gets to have their say about thankfulness as well. NL: So, like the human Thanksgiving, your Thankful Day is centered around a meal. Mr E: It’s around a meal because a meal nourishes and it’s essential for one’s survival. Also, the fact that you can eat, that there’s food available, is something to be thankful for. Food and good company, those are some of the great things in life. If you’ve got warm clothes, a roof over your head, food in your belly and friends to hang with and share it with, those are some of the important things in life. It’s not about that special wagon that you want to buy, it’s truly about friends and family and we deeply know that. Thank you Kate! We are very thankful for those, like you, who consider what we do here to be helpful and/or useful. We can truly ask no more than that. Hello again, Mr E, Susan and Natalie its rush, who likes to sing, and roses are my thing, Im happy to hear the thank fullness message being spread about, I have been one of those people that is like a traveler, never really having a long term home, and all ways getting rid of things to lighten my load. you really do have to be thank full for what you have at any time in life, even in hardship, theres some little bits of glitter in the dust to be thank full for. Sometimes we accumulate so much that we forget whats important, When you receive a penny or a one eyed horse, you need to ride the luck that may come from it with a positive attitude and thank fullness for a gift that might surprise you, and from the giver it might be all they have to give, so its quite valuable in that regard. Thanks rush, that was beautifully said and that’s exactly what Mr E was trying to convey in his post. It’s a shame you haven’t told Mr. E the horrible things that REALLY happened on Thanksgiving. Thanksgiving was not started peacefully. The fact that native Americans and Europeans exchanged wisdom and food together peacefully, is not true. We humans have an ugly past. Jaden – Interesting comment…but I think you missed the entire point of his post. I certainly don’t have to explain the dark side of humanity to Mr E, he’s well aware of it. I don’t have to tell him about human history, his people have been following and studying our progress, or lack of it, for centuries. In his world, there is a big debate about the worthiness of humanity and whether or not humanity should even be allowed to continue to wreak havoc and destruction upon the earth that we both share. Mr E and his people have seen both the goodness and the darkness of humankind and their purpose in communicating with us to make us aware of our impact and encourage us to take a higher, less destructive path. The point of Mr E’s post was that, in 2014, American’s have set aside a day to be thankful and he wanted to encourage that and perhaps redirect those who had forgotten or never really understood the truly deep meaning of the day (beyond feasting and watching football). As he mentioned, gratitude is an important part of the elven code of living and he talked about the power of focusing on being grateful and the joy and abundance it can bring into one’s life. Question: How come the fae can get through the veil and we cannot? Is there any way that we,humans, can get to the world of the fae? @diana – about good fairy info books…I really don’t know of any that we agree with 100%. Many books seem to think that fairies–and I’m not sure if they are referring to pixies or what–are elementals. Mr E disagrees with that completely, to him they are two separate things. I feel the same way. hey diana here i was just wondering about the war against the unsellies, like is it still going on and if so hows it going ? @diana – I asked Mr E this same question recently and he said that things are going well at the moment but it’s still too early to celebrate. The war is being fought on many fronts, because the veil lifting is affecting all magical beings and dimensions, The seelie and unseelie war is the fae realms own interwoven multi dimensional work of the natural order of things, We are all fighting the unseelie seelie war, through our actions here in the human realm, It was our actions that have caused much of the unrest, so it seems sensible for those of us who know of the war to try to right the wrongs, and change the world, so we can all live in peace. Theres much yet to be done. Wow, rush, thank you for your comment on the war…it was so very well said. It is true that the actions of humanity were the catalyst for this war. From what I have heard, it seems that the seelie/unseelie (for lack of better names to describe them) had settled into an uneasy peace before the conflict over humanity’s continued existence made that impossible. You are right, there’s much yet to be done in both realms. You answered my questions a post or two back and I can’t tell you how happy (and grateful) I was to see that. So, thank you for that. But, of course, now I have another one! Do you have any estimate as to how long you think it will take for the veil to come fully down? More than/less than 100 years? If someone were still young (less than twenty) do you think they would be alive to see it? Natalie…I’m so excited about you, Mr E and Susan writing books…I can’t wait! We’ll be able to purchase them here when they’re ready? I have a couple of questions for you to ask Mr E…what does he have to say about beings such as the Sasquatch people…and…I hope you don’t think this is crazy, but beings that for lack of a better word might be called a werewolf – aka dogman/manwolf – type being? I really would like to know what Mr E has to say about these beings…are they from the faery realm? Are they for the most part benevolent beings? Although, I have a hard time thinking the manwolf beings could be benevolent – I don’t want to misjudge them if they are. Thank you so much and blessings! Hi Ruth I just want to agree with you about big foot I have watched a few videos about big foot I have to admit I think you are right ! When I was hunting with my father and we went over some logs and I saw a huge black person and it was larger than a ten foot tree right next to it and when I looked over it saw me and it ran down the side of the hill I was so scared! And a year before that I was sleeping in a yellow camper and something scratched the side of it my younger brother and I where so scared because our grandma had a scratch on the cabin where she stayed when she was young and we didn’t go out until it was dawn and we raced into our cabin and slept on the couches. That night we barely got any sleep! We where still scared ever since! So good luck on finding out! Thank you, Antonia for your encouragement! I’ve got a strong hunch that the Sasquatch people come from the faery realm…I find so much of their signs in the woods and I always find just one footprint left in a place where they know I’ll find it! I feel that they are benevolent beings…the manwolf…I don’t know…could they be a type of guardian nature spirit? They certainly are frightening when encountered…I’m eagerly awaiting to hear Mr E’s thoughts about and knowledge of these beings! Seelie or Unseelie…or can they individually be either? @Anna, You’re welcome! As far as the veil goes, I think there are quite a few factors that influence how fast it comes down but I will be sure to ask Mr E this question for you. @Ruth, thank you! It’s nice to hear that you (and others here) are looking forward to our books. We have a couple of chapters written already and I may post some excerpts from time to time. Now about your question: First of all, I think you may have asked me this question before and I don’t know why I didn’t ask Mr E this before–it probably got lost in my pile of papers–but I apologize for that. I don’t think it is crazy at all, in fact, we have a pretty strong dogman legend here in Traverse City with lots of sightings, etc. and I think there is something to it. Now, I don’t know if Sasquatch or the dogman/manwolf are part of the fae realm but it certainly is possible. I do think they must be able to move between realms but I’m not sure which realm they originally come from. Fortunately, I do know someone who will be able to answer this question for us! I will be sure to ask Mr E about this–it’s an interesting question, thanks for asking it. I almost forgot – the books will be available here as well as other places. Sasquatch is a part of The Inner Earth, Brad Johnson on YouTube have good news about Sasquatch. Thank you for this website, this is a spark of hope in a difficult times. I’m thankful for this blog, music, and stories. That’s so gratifying to hear, thank you!!! !